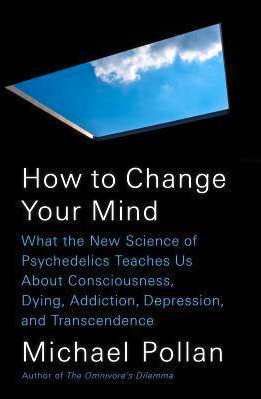 Weirdly fascinating non-fiction book charting the history of psychedelic drug use by the 1960s counterculture, and the resulting backlash, to the recent resurgence of LSD as a tool to help with mental illness. Pollan explores how such drugs were invented as well as the more traditional use of plant-based psychedelics like mushrooms. It came as news to me but research into these substances is being conducted by many respected medical institutes like Johns Hopkins. Clinical trials suggest psychedelics help with depression, addiction and the terror that accompanies terminal illness. The author also looks at mystical aspects, with many test subjects reporting a better understand of God and collective consciousness. In the right circumstances, psychedelics can open the mind to experiences our brains shut down as we age and neural pathways become fixed. Authenticity is provided by Pollan having tried several of these substances himself. Fear would probably prevent me from volunteering for this kind of research, but I enjoyed reading about the possibilities. While the book stalls sometimes due to excessive detail, like the mind numbing discussion of mushroom species, it’s a unique, well-written read.